Katha Pollitt is on Facebook promoting buying books for a grade school library in Pittsburgh through their Amazon wish list. 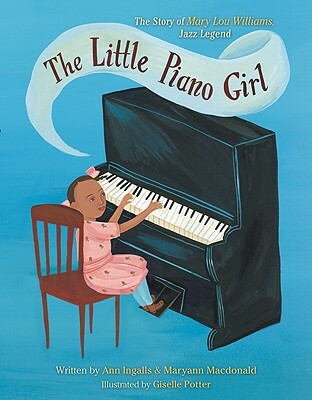 The title "The Little Piano Girl: The Story of Mary Lou Williams, Jazz Legend" looked intriguing - and I liked the look of the art - so I bought that one. Then I started Googling Williams - she truly was a jazz legend and I had never heard of her. And she was even on Mr. Rogers' Neighborhood. Thanks to Youtube I am giving myself a crash course on Mary Lou Williams, which is perfect timing - today I start a course in music theory. Here's Williams playing her composition "Nancy is in Love with the Colonel" - enjoy!